SHARMINI PERIES: For joining us. Aloha. TULSI GABBARD: Nice to see you. SHARMINI PERIES: All right. I cannot let you go without talking about the Yemen resolution. Tell us where things are at. TULSI GABBARD: On the House floor, so that members of Congress are on the record, will you stand for the humanity of the Yemeni people? Will you stand against Saudi Arabia’s genocidal war? Or will you continue to support this war that has caused 22 million Yemeni people to be in desperate need of humanitarian aid? To cause these 85,000 children to have died from starvation, to have caused the dropping of U.S.-made bombs on innocent civilians, killing tens of thousands of people. This is such an urgent action that must be taken by the United States Congress to assert its authority and end United States support for this genocidal war in Yemen. 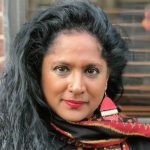 SHARMINI PERIES: Why is the relationship with Saudi Arabia so pivotal for this administration? Now, there’s been some conversation about how there’s millions of … Or billions of dollars, $104 billion at stake is what Trump administration is saying in terms of jobs and investment in the military-industrial complex from Saudi Arabia. That they’re purchasing guns, and equipment, and weaponry from the United States. But a Reuters report has shown by investigating the documents of some of the arms manufacturers that this is not the case. It is not going to produce this many jobs. In fact, if we are lucky there would be a few hundred thousand, a few thousand jobs, actually, made available for Americans. This is mythology, but the Democrats seem to be having trouble convincing the American people of this false information that the Trump administration is spreading. TULSI GABBARD: Well, I think that is an issue, that there is false numbers and false statistics being put out to support the Trump administration’s position to continue supporting Saudi Arabia, even though the atrocities that are occurring, the genocidal war they are leading, their spread of this extremist Wahhabi ideology that’s fueling terrorist groups like ISIS and Al Qaeda around the world, their direct and indirect support of such terrorist groups in different countries. There are so many reasons why this “alliance” with Saudi Arabia that the Trump administration is doubling and tripling down on, but frankly that has existed across both Democrat and Republican administrations for a very long time, to me, these are the real questions that really need to be addressed as we challenge this notion that Saudi Arabia’s a necessary ally for the United States. But to your point about the misinformation that’s being spread, I think the bigger issue is, whether it’s 2,000 jobs or 20,000 jobs, the problem is having a leader in this country, a president of this country, driving forward economic policy based on, “Well, we need to create jobs. Therefore, that legitimizes building and selling bombs to a country that’s dropping them on innocent people in Yemen.” We have businessmen in this country with a conscience, but Trump is an example of a businessman without a conscience. And that is how he is leading this country. If he and … Nikki Haley was advocating for this. Mike Pompeo was advocating for this. The people around John Bolton. These people are advocating for strengthening our economy, and if the only way they can do that is by building that economy based on building and selling weapons to countries that are using them to slaughter and murder innocent people, then we need new leaders in this country. The American people deserve better than that. SHARMINI PERIES: This relationship with Saudi Arabia has to be ruptured. SHARMINI PERIES: It’s going to be a real fight. I know that Ro Khanna, you, Bernie Sanders and others are doing the good work there in terms of that happening, so I thank you for that. TULSI GABBARD: Wonderful to see you. Thanks for everything you all are doing. SHARMINI PERIES: Our viewers just love it when we have you on, so on behalf of them, thank you as well. 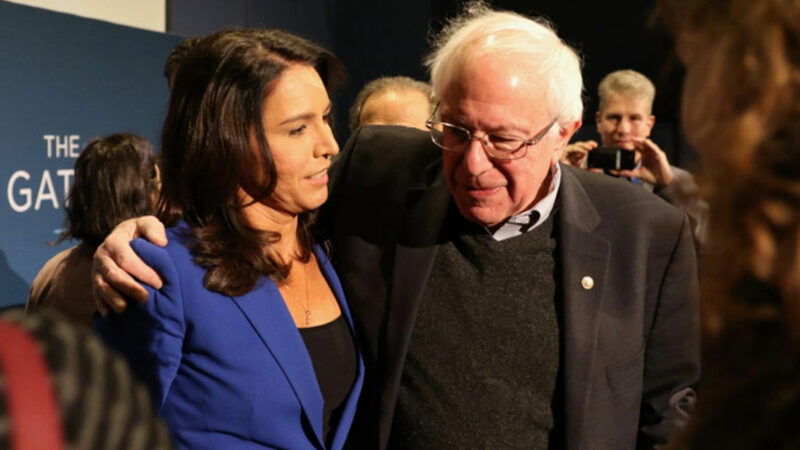 TULSI GABBARD: Thank you, so nice to see you.